Another item ticked off my Bucket List. 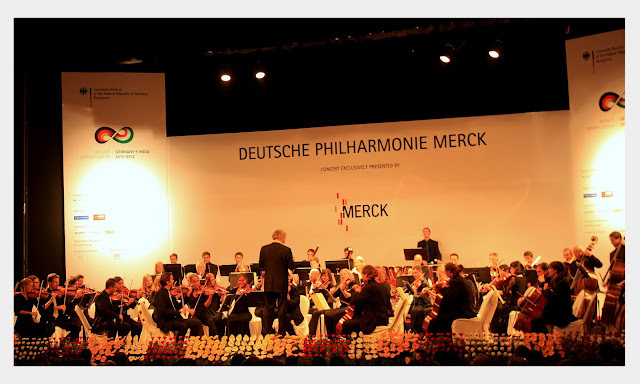 Watched a symphony live - The Deutsche Philharmonie Merck - at Chowdaiah Hall. 60 minutes of sheer musical brilliance! Though I hadn't even heard before any of the pieces except two, they were all quite enthralling. Of the two I recognized, one was Brahms' Hungarian dance while I couldn't quite place the other one. The revelation of the day was "Leonore Overture No 3" by Beethoven. (I found out this later from the press release). Was quite an evening and the hall was crowded with people standing on either sides and even sitting in the aisle. Good that we got the passes (thanks to Sunil) and managed to reach the venue quite early to grab some seats!